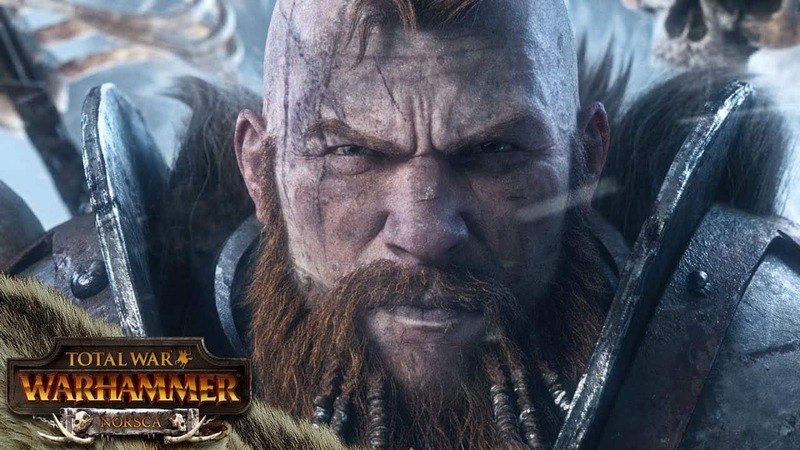 Total War: Warhammer players can now get the Norsca DLC for free and enjoy its content: two playable races for the current and upcoming game. They are very clearly modeled after Vikings, and they make their living by sacking and pillaging neighboring factions. They can also build monuments to the chaos gods, and they receive divine blessings on the battlefield. The Norsca is lead by Wulrik the Wanderer who is a melee fighter with the Siege Attack attribute and a unique battle ability called Seafang. The game features more races including monsters and humans, and now it also introduces Vikings. The Norsca DLC adds two new races and a few non-playable ones, and they reside at the newly revamped northernmost portion of the world map. The second playable faction in the DLC is the Wintertooth trolls, and they reside in the northeasternmost corner of the map. They always face danger from all directions. The Wintertooth faction is lead by Throgg aka King of Trolls. His unique ability is called Copious Vomit. The Norsca DLC is great primarily because it offers an impressive campaign with the races which are different from those of the base Total War: Warhammer game. By buying the DLC, you will unlock access to the Norsca and Winterbooth in the forthcoming Total War: Warhammer II. Total War: Warhammer II is due out on Steam on September 28. Players who pre-order the sequel for $59.99 or who buy it in the first week of release will get the Norsca DLC for free. SEGA will also sell a $149.00 physical Deluxe Serpent God Edition, exclusively via its website. It will include an art book, a puzzle sphere, a metal case and more.